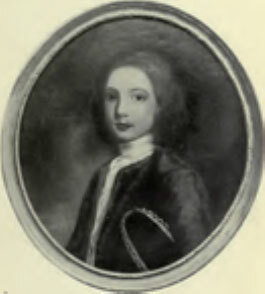 Young George Bogel, portrait cerca 1751. (born Scotland, 1746 – died India, 1781); in his lifetime served as Himalayan explorer and British diplomat. One of my primary duties in pushing north toward Tibet included the formation of a British outpost in Cooch Behar, a city acting as a forward extension of India wedged between East Pakistan and Bhutan. It was the fortress capital of a small but strategically important state. Our team would remain there for a few days, equipping our party with all provisions necessary before embarking on our northern excursion. At Cooch Behar we also signed on a large contingent of Bengali servants. In the fortress, we bedded down with these Bengalis that would accompany us on our journey, and took note that they enjoined the habit of sleeping with their entire families. Perhaps they feared that they might never see their dear loved ones again, as it was rumored that the passes into Tibet were controlled by fierce Chinese warriors dispatched from the Emperor himself, zealous defenders who took no prisoners. Unlike the more isolated Tibetans, however, the Bhutanese at times found themselves at war with themselves, peeling off into various political factions, or even with their neighbors, repelling invasions or carrying out raids of their own. From this, I concluded that real settlements can never be achieved by force. In years past, a small British contingent, led by Captain John Jones, who marched up from Cooch Behar attempting to establish a foothold in these parts, had to retreat all the way to Calcutta insofar as the land itself proved more tenacious than even its Bhutanese defenders. Jones later realized that the Bhutanese could have slaughtered him and his men on the spot, but fortunately they led him into an arroyo that provided for one way of escape, which he happily took advantage of. Having arrived safely in the capital of Tassisudon, after considerable time we gained the trust of Bhutan’s spiritual leader, the Dharma Raja, and later the country’s secular authority, the Deb Raja. As such, there existed this division of powers between the spiritual and administrative branches of governance in Bhutan; but much more so than in Tibet, there occasioned a greater overlap of duties between the two Rajas. An envoy was sent to the leading Lamas in Tibet for permission to continue our journey. Pending arrival of a response, we were graciously allowed to remain at Tassisudon, whence we conducted a reconnaissance of the capital city and its surrounding area for my report to Mr. Hastings. Once permission had been granted by the Panchen Lama in a letter brought to us by our envoy, winter was already beginning to set in, but regardless, we continued on our perilous mountain trek to the northern passes into Tibet and the legendary mountain of silver located on the border. As we steadily made our way north, we began to encounter many strange phenomena: ghost singers on the peaks and in the valleys as we approached the border, fierce dogs roaming about in the cover of darkness and growling at any of us who happened to venture outside in the wee hours, hives of bees that would assemble around us in castle retreats but never sting us, scavenger birds devouring human flesh along the pathways we were taking, and Hindu servants deserting us in droves upon hearing rumors from locals that we were about to ascend the Mountain of the Gods, whence mysterious fires and lights were shooting out through the cold and starry nights. The indigenous inhabitants assured us that it would be better if we could turn back now, because the “gods of the mountain” would not take kindly to any encroachment on their territory. Helena P. Blavatsky, the co-founder of the Theosophical Society, attempted to enter Tibet two times. She succeeded with her second try; and afterwards, she communed with many of the Ascended Masters. 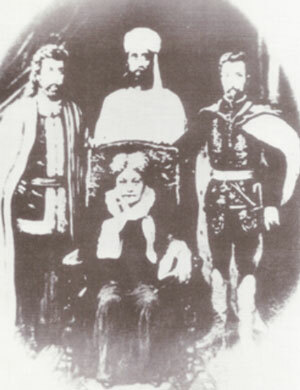 Seen here are left to right, Kuthumi, El Morya and Saint Germain. According to Blavatsky, these exalted beings find their spiritual counterparts in the Lords of the Flame from the planet Venus. Blavatsky described Venus as the “most mysterious, powerful and occult of all worlds.” Photo: Courtesy of fellow contactee, Frank Chille. Stay keyed to this website for the amazing conclusion of Mr. Bogel’s Tibetan adventure. The legendary gods of the Tibetan peaks make themselves known to Bogel and his intrepid party.